A photo of the Koeberg nuclear power plant, the only commercial nuclear power plant in Africa. South African President Jacob Zuma and Energy Minister Ben Martins have continuously committed the nation to build up a nuclear industry. The government has adopted a 20-year Integrated Resource Plan (IRP) which says that coal, nuclear, hydro, shale gas, and renewable energy are all included in potential generation methods of increasing the nation’s power supply. The IRP is revised every two years, the latest update proposes that the nation delay construction of more nuclear plants and instead focus more on coal, hydro and gas. Energy Minister Martins has said that South Africa’s goal is to be self-sufficient in all aspects of the nuclear energy industry, but there are concerns about whether South Africa’s construction industry is even large enough to handle the additional resources and manpower which would be required. President Zuma announced that the South African government would work to procure 9,600 MW of energy from nuclear power, based on the IRP released in 2010. The new IRP said that little or no nuclear power will be required. If President Zuma’s goal of installing 9,600 MW of nuclear energy, the government must find at least 1 trillion rand ($93.2 billion USD), to support a nuclear fleet of three new nuclear power plants in South Africa. On Tuesday, Rob Adam, president of the Nuclear Industry Association of South Africa and director of the construction group Aveng, spoke at an energy conference in Johannesburg and told attendees that the government would likely be forced to incorporate funds from the private sector to invest in the nuclear industry in South Africa. There have been a few nations lining up to work with South Africa on increasing their nuclear generating capacity including China and Russia. In South Africa, the state-owned power utility Eskom provides 95% of the nation’s electricity and can generate up to 42,000 MW. Eskom generates most of its electricity from coal power plants, but its energy portfolio also includes the only nuclear power plant in Africa, gas turbines, hydro, and wind power generation facilities. Eskom is not currently fiscally stable enough to finance a nuclear power plant. 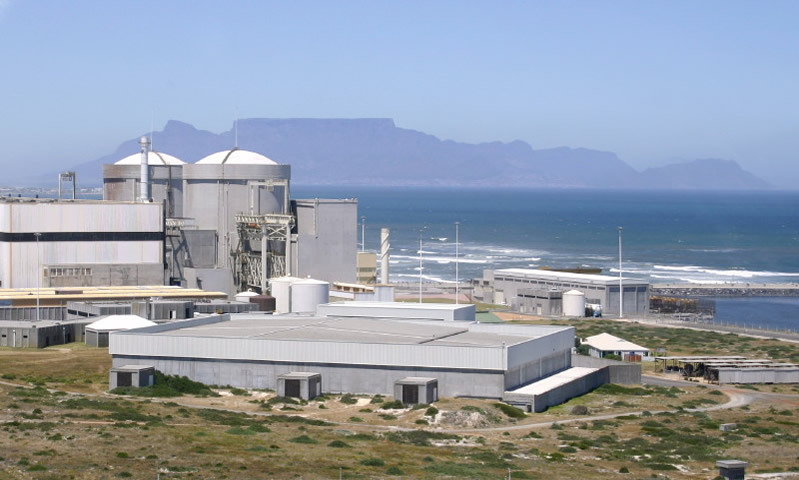 According to experts in South Africa, given the nation’s tight fiscal budget, it is extremely unlikely that the government would be able to allocate any funds for the proposed nuclear build. The nuclear proposal is seemingly causing a rift in the South African government. Some agencies like the departments of energy, public enterprises, trade and industry to name a few are big proponents of a nuclear build, while other agencies like the National Planning Commission and the treasury are concerned with the high costs of nuclear energy.